Skilled motorcycling is a lifelong pursuit. Learning the correct procedures and fundamentals will equip you with everything you'll need to grow into a safe and skilled rider. 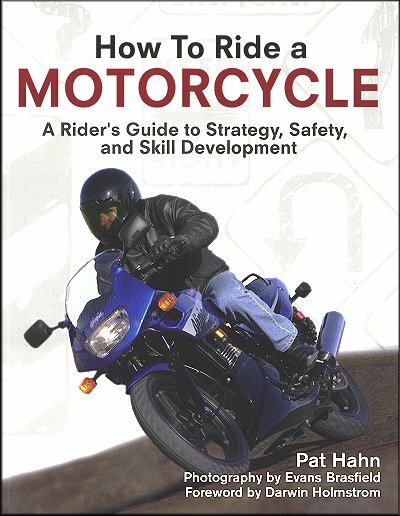 In How To Ride a Motorcycle, motorcycle safety expert Pat Hahn guides the beginning rider from the important first steps of choosing a motorcycle and safety gear to mental preparations to basic and intermediate riding skills. From licensing and training to street strategies and risk management, the everyday challenges and rewards of motorcycling are made clear. With a lifetime of riding experience and a wealth of statistical and technical information, Hahn debunks many of the common myths about motorcycling with well-researched information and a sense of humor. How To Ride a Motorcycle will surely be an essential first step for beginning riders. Ask a question about How To Ride a Motorcycle.